Flight dynamicists today need not only a thorough understanding of the classical stability and control theory of aircraft, but also a working appreciation of flight control systems and consequently a grounding in the theory of automatic control. 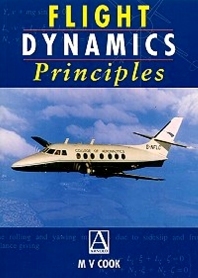 In this text the author fulfils these requirements by developing the theory of stability and control of aircraft in a systems context. The key considerations are introduced using dimensional or normalised dimensional forms of the aircraft equations of motion only and through necessity the scope of the text will be limited to linearised small perturbation aircraft models. The material is intended for those coming to the subject for the first time and will provide a secure foundation from which to move into non-linear flight dynamics, simulation and advanced flight control. Placing emphasis on dynamics and their importance to flying and handling qualities it is accessible to both the aeronautical engineer and the control engineer. 2nd and 3rd year undergraduate and postgraduate aeronautical engineers. Professionals in the aerospace industry. Preface Acknowledgements Nomenclature Introduction Systems of axes and notation Static equilibrium and trim The equations of motion The solution of the equations of motion Longitudinal dynamics Lateral-directional dynamics Manoevrability Stability Flying and handling qualities Stability augmentation Aerodynamic modelling Aerodynamic stability and control derivatives Appendices * Index.